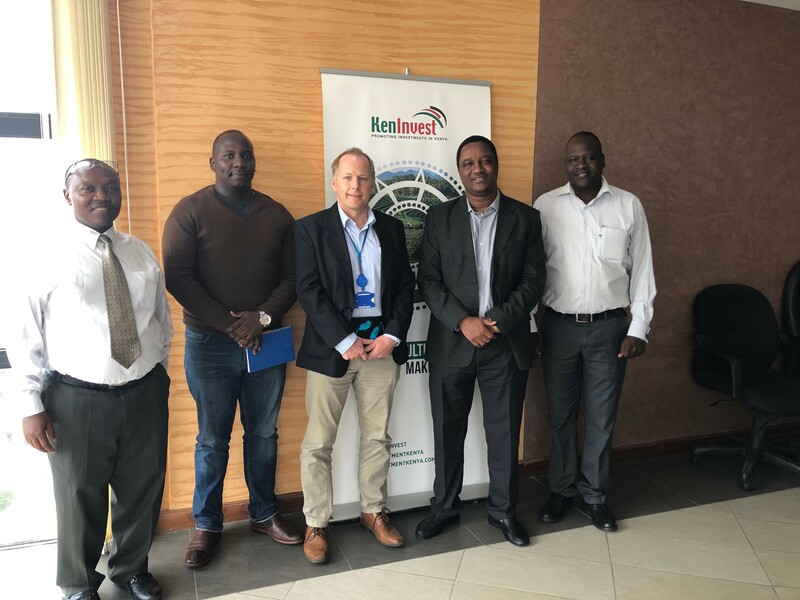 Private Sector Development Adviser for the Invest Africa Programme, Department for International Development (DFID), United Kingdom Mr. Andrew Gartside paid a courtesy call to KenInvest MD, Dr. Moses Ikiara on 5th April 2019. In the meeting they discussed on possible areas of collaboration in the Invest Africa Programme, that seeks to significantly increase FDI flows to the manufacturing sector (including agro-processing and high value services) in Africa. The programme aims to generate £1.2 billion of additional FDI by 2025. The initial countries of focus during the first 7 year phase are Kenya, Ethiopia, Rwanda and Uganda. It was noted the Invest Africa Programme will involve working with African Governments and international companies to facilitate new investments by developing the business case for firms to undertake investment, or by supporting their negotiations with Government and by addressing sector specific barriers preventing those particular investments from taking place. In attendance in the meeting was KenInvest General Manager, Investment Promotion, Mr. Pius Rotich and Senior Business Development Officer, Mr. Joseph Kemboi.